I love Korean food, but like I said earlier, it takes a while to find out what you like when living there. Also because of the food's strong flavors and sometimes pungent smells, it takes a while to get used to the food if you are not familiar with Korean Dishes. Korean food is usually cheap too, which I think makes it taste even better. My absolute favorite Korean dish. Gamjatang is essentially spicy soup made with pork neck bones hearty chunks of meat, potatoes and a mix of other vegetables. Might sound gross with the neck bones, but trust me it's amazing. Usually it will come in one large pot, that you and your friends enjoy while drinking. Speaking of drinking, Gamjatang is also amazing for curing a hangover. If you have had Korean BBQ at home you may be familiar with these two classics. 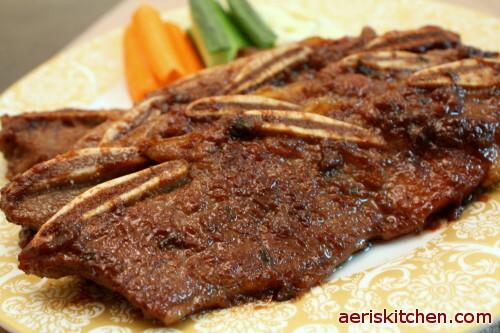 Samgyeopsal is pork belly and Galbi is either pork or beef rib meat. Both are absolutely delicious wrapped in lettuce leaves, with rice, kimchi and ssamjang (soy paste). Perhaps what makes this meal so delicious is the experience of grilling the meat in front of you. Talk about a total lunch in a bowl. 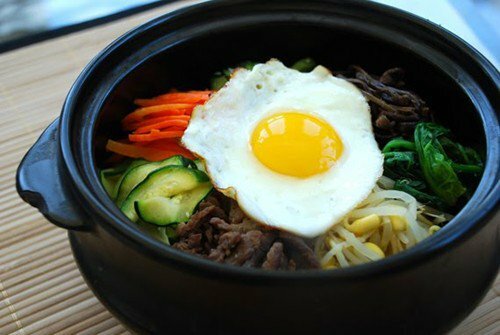 Bibimbap is mix of rice, veggies, beef, egg, sesame oil and gochujang (hot pepper sauce) in a pipping hot stone bowl. The crunchy rice at the bottom is the best! I also love Japanese food. If I had to eat the same genre of food everyday for the rest of my life it might be Japanese food. On my recent 2 week business trip to Japan, I ate Japanese food for every meal and wasn't the least bit sick of it at the end of the trip. When I talk about Japanese food, I'm not just talking about sushi either. The food in Japan is very diverse and very delicious. Okonomiyaki is sometimes referred to as a Japanese style pancake. There are literally thousands of ways this dish can be prepared, but the typical okonomiyaki consists of pancake-like batter, cabbage, veggies and a protein (meat, or seafood) topped with a sweet okonomiyaki sauce and mayo. Usually you will get this cooked up at you table by someone at the restaurant, or you get to make it yourself, which is an amazing experience in itself. Oh I know this dish is not good for you, but it's just so good I can't leave it off this list. Ramen is cheap and can be found everywhere. 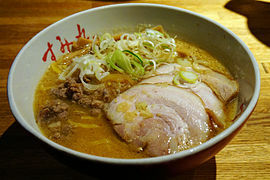 There are two key components to Ramen, the soup base and the noodles. Typically the four soup bases you can get are Shoyu (soy sauce) Shio (Salt) Miso, and Tonkotsu (pork bone). All are delicious, but the traditional salt flavor is my fave.The noodles are usually wheat and come in a variety of sizes and shapes. You can add many different toppings to your ramen. I also like ramen because it's easy to order. Usually you walk up to the ramen machine, put your money in, select the ramen you want (there's usually a picture) and then you get a ticket that you give to the waiter/waitress. 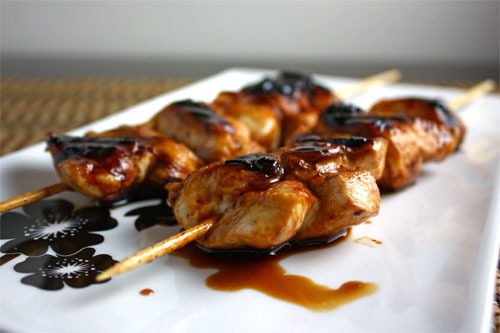 Nothing goes better than a few of these scrumptious chicken skewers with a cold beer after a long day of work. You can choose pretty much any part of the chicken for your skewer. I always wanted to try Peking Duck since I was a child, and this fall I finally got to, and I was not disappointed. 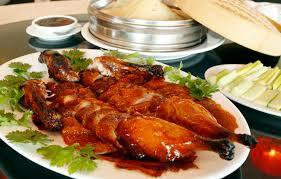 Moist duck with crispy savory skin served with Chinese pancakes and hoisin sauce...need I say more. I don't know how they do it, because I've made dumplings at home, but these simple dumplings are amazing and I could eat a hundred of them. 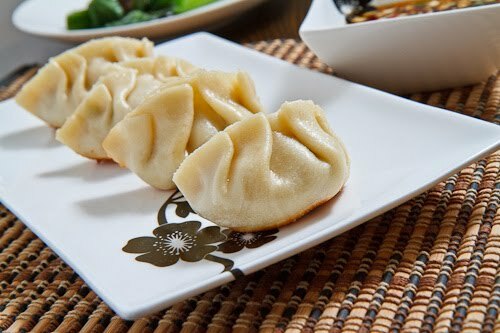 Typically inside dumplings are either pork, veggies, seafood or a combination of these items. You can also get them steamed, boiled or fried. Mapo Tofu is a Sichuan dish of soft tofu, ground meat, veggies, ginger, garlic cooked in a spicy, oily, bean base soup. 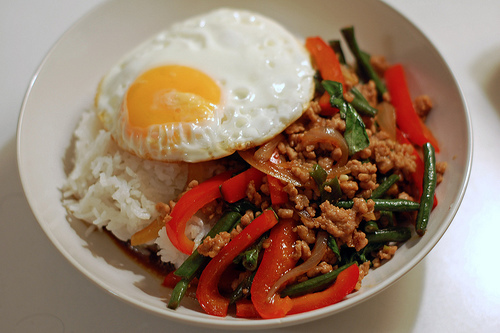 Usually eaten with rice, I quickly fell in love with this food, as I love anything spicy. 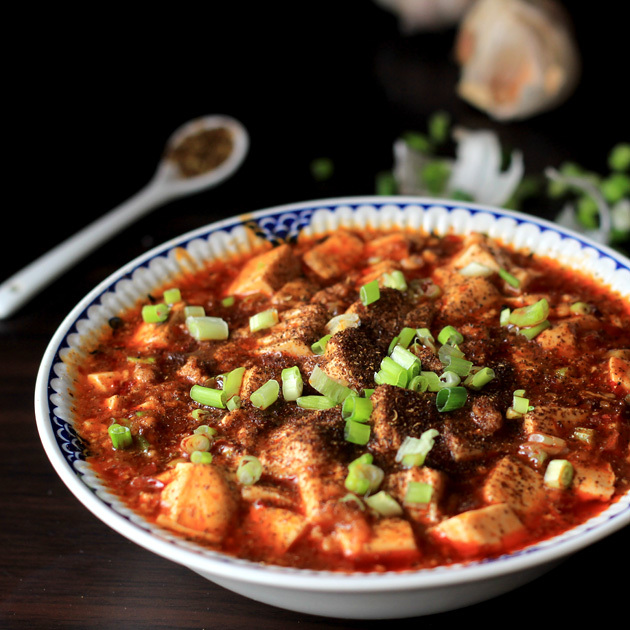 Apparently Mapo Tofu is different in each area of China, but the ones I had in Shanghai and Hongzhou were terrific. Thai food rocks! It's distinct, varied, usually cheap and most importantly delicious. I've been to Thailand a couple times, and the food there is always a highlight of these trips. Picking 3 is tough because there are so many to choose from. Instead of choosing Green, Red, Yellow or Mussaman Curry that everyone knows, I'll try to pick 3 foods maybe most don't know about. This amazing sweet, sour, salty and spicy lemon grass soup with prawns is a great lunch, no matter how hot it is outside. 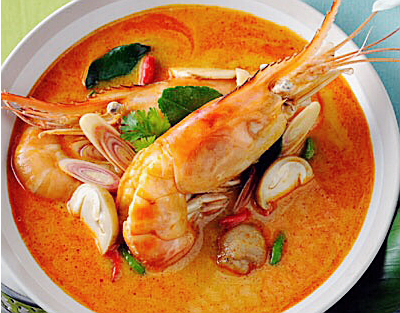 The mix of all these flavors makes for a soup you can't find anywhere else than Thailand. A local favorite street food that can be picked up in most urban areas, Pad Kra Prao is sweet and spicy stir-fried beef or chicken with basil, green beans and other veggies. It usually comes with jasmine rice topped with a fried egg. It secret to this delicious dish is the holy basil. Unlike, its Italian brother, holy basil has a distinct taste and smell that really make this dish. Pad Thai seems to dominate the noodle scene among tourists, but this noodle dish is worth a try. 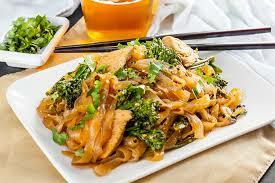 Pad See Ew is comprised of flat noodles cooked with egg, chicken, Chinese broccoli and bok choy in a tasty soy sauce base that almost tastes like they added a little molasses. You can also get this with beef or shrimp or a seafood mixture. I hope you enjoyed this list. Please tell me about some of your favorites in the comment section below, so I can go try them myself.